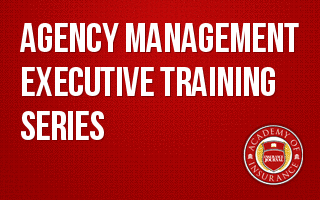 This Executive Training Series – which includes courses in Agency Strategic Planning, Choosing & Managing Carrier Relationships and Agency Financial Management – offers the ultimate opportunity to learn how to decrease problems within your agency's business while attaining successful business strategies, superior growth and increased agency value. This 3-part, 12-hour course, taught by Chris Burand, nationally recognized insurance consultant, tackles a different area necessary for sustaining and improving successful agency management and will provide key solutions to running your agency more efficiently and profitably. What is one thing a Paper Company and Insurance Agency have in common? Answer: they need a solid business strategy to survive – not just sales. It isn't unheard of for an agency to be successful while relying on optimism and pure skill, but it's sure risky. Deciding on which carriers your agency should go into business with can be very overwhelming. How do you go about choosing which ones to partner with, and then, how do you best manage those relationships? Some agencies think more is better, but when it comes to your clients, you should really focus on quality rather than quantity.